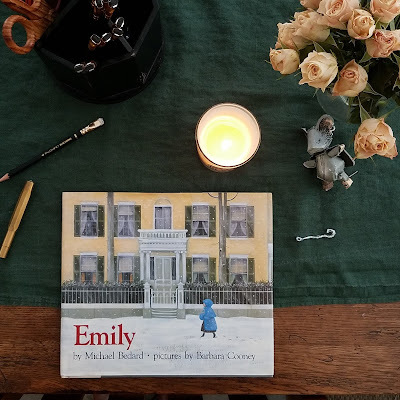 I almost forgot to read Emily this month! It's one of my favorite March picture books. I've spent the morning cutting out two Mouse Guard figures for the boys to assemble while they work on their lessons.